Earlier this year, I came up with an idea I thought would revolutionize Christian television production. Along the same vein of The Office and Parks and Recreation, we needed to shine a light on the world of ministry through a mockumentary of those front-line workers. I created characters, ministry jobs, and early versions of a script. Unfortunately, while writing is my forte, I do not have an in with anyone working in Hollywood. Little did I know that, around the same time, a new mockumentary-style Christian series was in the works. I admit it might even be better than my show idea. Hitting the Breaks premiered last month. I watched it on Pure Flix and am hyped to tell you about it. Hitting the Breaks is the first original sitcom series from Pure Flix. We would like to invite you to watch this series for FREE by signing up for a free trial of Pure Flix’ streaming service. To celebrate this comedy, we wrote this review comedy-style as well. In case you forget why this mostly-normal Christian family ended up in an anything-but-normal Colorado Rockies town, just listen to the theme song. The title sequence begins with the opening sequence of Cars 3. (That’s also the same scene as the final race of the first Cars movie, but I digress…) Without giving away too much of the setup of the show (or the Pixar Cars franchise), there’s an accident on the racetrack. This forces driver Randy into a midlife crisis of early retirement and moving his family cross-country to his recently inherited hotel, which is where we first meet them in the pilot episode. Quaint, quiet, and no cell phone tower within miles to disrupt the scenic view! The Wilcox family walks into The Serenity Inn, their new home in Colorado. Oh no! What happened to the Wi-fi and cell service? I guess it lacks those features to make what otherwise looks like a just-built hotel set seem old and dilapidated. They never get those services, so I guess they won’t be able to read this review. Or watch their own show. When it comes to the topic of finances, this modern-day Petticoat Junction is mysterious . Why did Randy’s father die and leave his estate conveniently at the same time that Randy also flirted with death and needed a place to move to? Why is Randy concerned about money when he has free housing and presumably a professional athlete’s savings account? How can a hotel that never has a paying guest afford to keep on a maid? (Although this does explain why she never does any work- there’s no one to clean up after!) How can Randy quickly get hooked up with an endorsement deal when he wants several thousand dollars, but can’t drop a hundred bucks to replace a falling-apart floor rug that everyone complains about? And the most mysterious of all: why are Christian films notoriously low-budget, but Hitting the Breaks is actually a good show? Speaking of Christianity, this is an original series created by and available exclusively through the Christian entertainment company, Pure Flix. But don’t expect the characters to awkwardly pause the story line to give their testimony. Instead you’ll see the Wilcox family and some of their friends living out their life with Christ through Bible studies, church events, reading, and prayer. For them, Christianity isn’t a separate part of their lives that they focus on for two minutes but ignore the remainder of the episode. It’s how they live their whole lives. That’s a good takeaway for all of us. Accurate depiction of how kids feel when they have to move to the middle of nowhere. But although there are mysteries and faith themes, Hitting the Breaks is a comedy. You’ll be reminded of that every four seconds when the laugh track goes off. Sometimes it gets so cheesy that you’ll want to grab tortilla chips and make some nachos. The characters even acknowledge this a handful of times while breaking the fourth wall. Is it Brother White? Is it Holy Man Undercover? No! It’s a racing star you’ve never heard of! 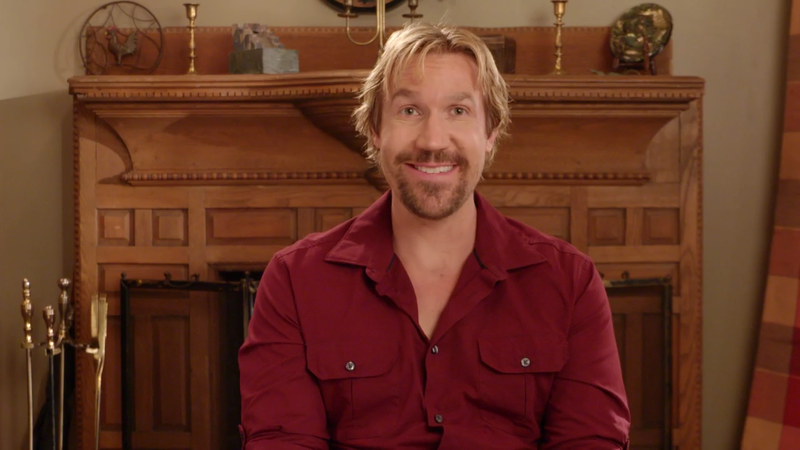 Randy Wilcox is played by that ever-present actor in nearly every Christian movie, David A.R. White. 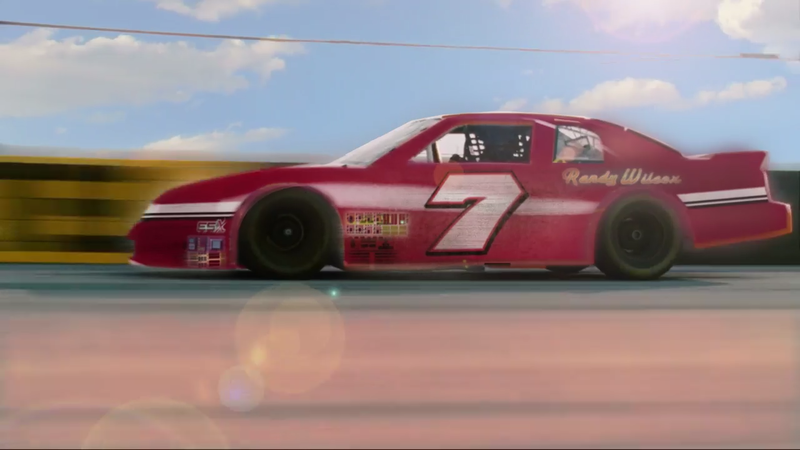 Instead of his typical portrayal of a pastor or an Amish man, David branches out in this show as a retired race car driver. The word “retired” might be a bit harsh, since he’s only middle-aged with daughters still in school. But what can you do if you have a family full of women who convince you that your line of work might be dangerous after your last race ended in smoke and shambles? I think she’s the only person in this whole TV show that has any idea what’s going on. Charlie Wilcox is Randy’s wife. Actress Andrea Logan White is also the real-life wife of David A.R. White. In Christian film world, that means it’s okay for the couple to share a bed unlike the sitcom couples of the 50s, and kiss each other without pulling Kirk Cameron’s stand-in stunt from Fireproof. Yay for realism! While watching Hitting the Breaks, try to get a screenshot of her without a sarcastic look. I dare you. Delancey Wilcox is the oldest daughter of Randy and Charlie. Since she’s a teen, the writers gave her typical teen traits like being obsessed with boys and shampoo. Wait, shampoo? Is that a legit obsession? I started working on this teen magazine (that you should subscribe to) as I was aging out of my own teen years. All this time I guess I forgot to include a much-desired magazine section dedicated to shampoo. If you’re a teen girl with a shampoo obsession, please leave a comment at the end of this post. I need your help with an upcoming article. She may be a preteen, but her IQ is higher than the rest of the town’s combined. Darcy Wilcox is basically a female version of Brick Heck from ABC’s The Middle. Book brainiac, youngest child, remembers everything, socially awkward… you get the picture. I almost expected her to repeat words in a whisper. Maybe they’re saving that for season two. Sheriff Bernie and non-cranky-vegan Sky appear to be best friends. Not sure what they have in common. Other Characters abound in this Rocky Mountain town. A fan favorite is Sky, a vegan-restaurant-owning/ motorcycle-riding/ friends-with-everyone twentysomething who knows the rest of the townsfolk are unusual without realizing that she’s a different kind of offbeat as well. The bumbling cop Bernie makes Barney Fife look like a SWAT Team agent. Then there are two old guys who continually wear bunny costumes. It’s weird how quickly you get used to that. Tim Tebow makes his appearance. I wonder how many people watched the entire series just to get to this point? Let’s not forget the special guest stars! There’s Alyson Stoner, and Morgan Fairchild, and Carrot Top, and IS THAT TIM TEBOW? LET’S FREAK OUT LIKE EVERY CHARACTER DID IN THE SEASON FINALE! Your new favorite TV family. Do they have room for one more? I’ll see if I can make a cameo in the next season. Joking aside for a moment, you probably know that there are fewer and fewer sitcoms airing that the whole family can enjoy. Two of the three family-friendly shows I alluded to above (The Andy Griffith Show and Petticoat Junction, which also has episodes available to stream on Pure Flix) were first filmed in black and white. The other mention, The Middle, is in its final season as television networks turn to edgier shows with more shock value. I’m glad that Pure Flix is stepping up to fill this widening gap. We need more shows that are funny, entertaining, and hold to God-honoring, family-friendly values. Although Hitting the Breaks is only available on Pure Flix, we have a special deal for you. If you click here (or on any other link in this post) you will get a free month of streaming on Pure Flix. Hitting the Breaks has ten episodes, so you can easily watch the entire first season during your free trial, even if you’re not a binge-watcher. Question: What kinds of things do you enjoy in a sitcom? Also, do you have a favorite kind of shampoo? I really want to know! Don’t forget to check out our movie reviews for Princess Cut and I’m Not Ashamed, as well as snag a free Girlz 4 Christ Magazine subscription! Reviewed by Jessica Lippe. All photos are from Hitting the Breaks/ Pure Flix. This article utilizes affiliate links. All opinions belong to the author. This has been such a fun goofy show to watch! I know it’s a bit over-the-top with some of the characters…but seriously, how can you not love the guys at Stuff on the Bluff and yes, you quickly get used to the bunny suits…but honestly, it’s just fun and I’m hooked! Can’t wait for season 2! I hope there’s a season 2 as well… and it would be even better if we didn’t have to wait an entire year to see it! Wow, this sounds fun! I can’t BELIEVE Tim Tebow was in it. I’ll definitely keep this series in mind! Ahahaha, oh goodness. I do believe I need to snag an opportunity to watch this one. Is there gonna be a season 2? It’s been over a year since the first season and still no word about season 2, but here’s hoping!